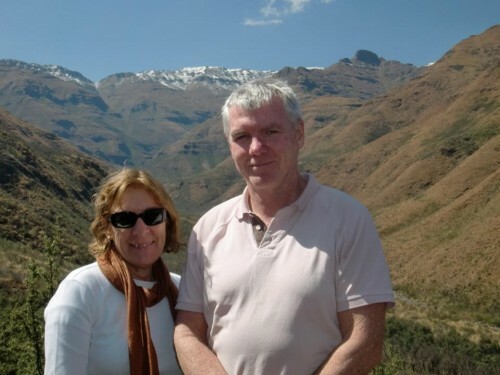 One of the directors of Maliba Lodge is a friend who lives near us in Melbourne, Australia. When we heard that there was an opportunity to come to Lesotho to do several weeks of volunteer teaching, we jumped at the chance. We have had several years experience of living and teaching in Papua New Guinea and have great memories of that time. The people in Lesotho are gentle, polite and happy and have made us feel very welcome. We have been working at Ts’ehlanyane Community secondary School, Forms A, B and C. The students begin their school day at 7am and finish at 3:10. There are 6 teachers, including the Principal. We have spent our time doing lots of talking with the teachers, comparing stories, lives, experiences. We have seen our very minor role as one of offering encouragement to professionals who are doing a great job in difficult circumstances. The school is quite isolated and under-resourced and the teachers do well to maintain their motivation. 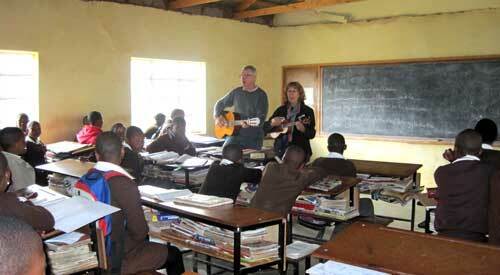 The students respond with excitement to our presence in the school and we offer a change in their daily routine, especially when they see us arriving at school with a guitar and a ukulele. (Coals to Newcastle taking music to Africa; just something different, I suppose.) The valley now resounds with the words of “My Highland Goat”, a funny little ditty about a goat who eats shirts off a clothes line. 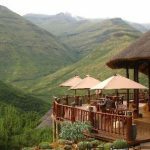 It goes without saying that staying at Maliba Lodge has been nothing short of wonderful! Our time here has been mutually beneficial for us, the teachers and the students. Well, that’s our story. We hope they feel the same.